I have a bucket list of places I’d like to visit, and it was a no-brainer when I realized that so many were in or near Nashville. But that said, I have to be honest here it got added to the list for a very specific reason (actually three reasons):whiskey…and gin…and rum…and I think you get the picture! About four years ago, I attended a wine festival in Atlanta. Of course, it was just like me to stumble across the only booze vendor in the place. Hidden away. Out of sight. In a dimly lit speakeasy. Classic prohibition style! The vendor was Corsair, and they had the most amazing selection of liquor, like Quinoa Whiskey and (Rum) Barrel Aged Gin. Honestly, I don’t think I had any wine that day after I planted myself at the Corsair table and began tasting like it was the ice cream shop! 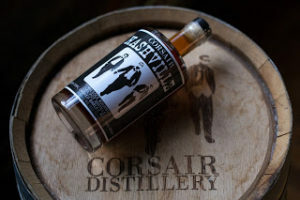 When I woke up the next morning, I was determined to visit their distillery—in Nashville! Four years later I made it happen! To add the cherry on top, the BFF had an interesting encounter with a group of swingers…but that’s a blog for another time! Back to the month of Hallmark love! This month is about buying yourself gifts. Well-known author and therapist, Gary Chapman, wrote a therapy book that’s broken into the mainstream, The Five Love Languages. One chapter deals with giving and receiving gifts. 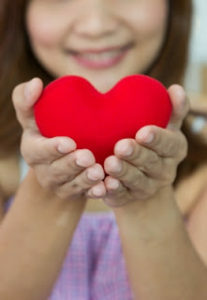 Essentially, he says that many people feel loved and give love through giving and receiving gifts. Gifts don’t have to be expensive, materialistic items such as jewelry, but could be smaller or more meaningful items such as plant or household item. The point is that the giver puts thought into the gift, thinking from the perspective of the recipient about what he or she would want. Instead, why not treat yourself! Why wait around for someone to buy you a gift or sulk because you don’t have someone to treat you? Buying yourself a gift not only ensures you get the thing you want, but also is another way of meeting your needs and nurturing yourself. Those feelings—importance, appreciated, included, loved—you get when someone buys you a gift comes from you—instead of from someone else. Does this take away from another buying you a gift? Not at all! Instead, it enhances those feelings of importance, included, appreciated because you’ve been allowing yourself to experience these feelings from the most important person in your life (you!) on a regular basis. When you don’t buy yourself gifts, you begin to desensitize yourself from enjoying gifts when waiting for others to fulfill that need. By treating yourself every now and then, you’re constantly reminding yourself what it feels like to be though of, to feel important, or to feel appreciated. So, what are you buying yourself this month? I have my eye on a couple of things, for instance… Comment below!